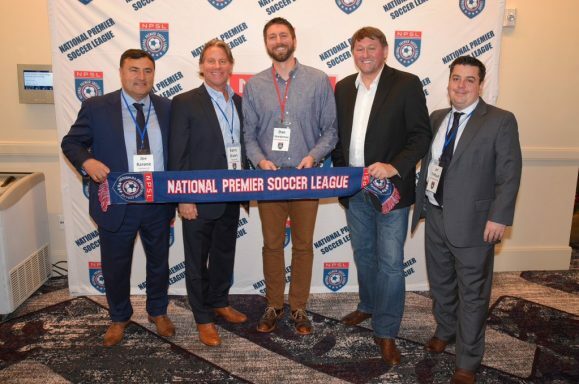 Minneapolis City Chairman Dan Hoedeman (center) poses with NPSL officials in Orlando, FL. Image courtesy of Scott A. Miller/NPSL.com. MINNEAPOLIS — Semi-pro Minneapolis City SC is leaving the Premier League of America for the National Premier Soccer League, and will begin play in the latter’s rebranded North Conference, formerly the Midwest Region’s Central Conference. City will face a pair of holdovers from the old Central Conference as divisional opponents: future metro area-rival Minnesota TwinStars FC and Airs SC of Lacrosse, WI. The Crows’ decision to join the NPSL grew out of offseason discussions and networking. A primary factor in City’s decision to join the NPSL was a reduced cost of travel. City is coming off an inaugural campaign that saw it compile a 3-4-3 record and a third-place finish in the PLA’s West Division. The Crows finished ahead of local rival Minnesota United Reserves, but behind perennial amateur powerhouse Milwaukee Bavarians and Cedar Rapids Rampage United (the full-field, summer sister team to Cedar Rapids’ professional indoor side). City full back Aaron Olson wins the ball off Bavarians winger Kelmend Islami during Milwaukee’s 2-0 victory on July 9th, 2016 in Minneapolis. 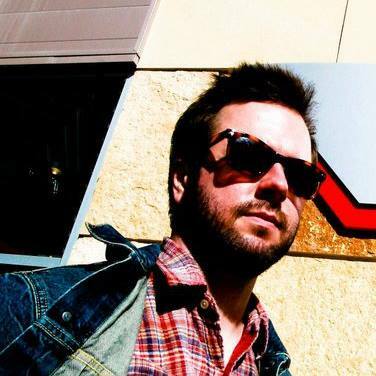 Image courtesy of Daniel Mick. Last season, City’s performance was a bit of a rarity as a semi-pro side that picked up more points on the road than it did at home, due in part to what could charitably be described as an inconsistent playing surface at South High School’s Les Barnard Field. City’s brass is presently pursuing a new home ground for the 2017 season, and looked poised to challenge for the PLA West crown. Now, City faces a new challenge in the NPSL. Instead of playing the role of quirky upstarts, the Crows may enter the North Conference with targets on their backs. Looking beyond local and regional rivalries, joining a national league after playing in the Midwest-based PLA in 2016 carries added benefits for City. 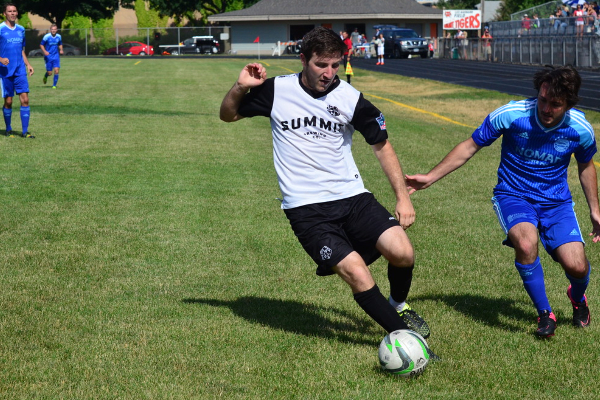 The top two teams in the North Conference earn the right to compete in the Midwest Region’s finals, with the winner of the latter competition advancing to NPSL’s national tournament. City’s players will also benefit from increased visibility of the NPSL, as well as opportunities like the NPSL’s Player Showcase event held during the MLS Combine, which attracts MLS, NASL, and USL coaches and scouts. Further additions to the North Conference are expected in the coming days. FiftyFive.One has learned from a source that Duluth FC will be announced as a member of the North Conference, as early as tomorrow. The Bluegreens played their inaugural season in the American Premier League, finishing in second place behind the late FC Fargo with an undefeated 3-4-0 record. @TwinStarsFC & @ECArisFC consider themselves #TheNorth! Ha! Also joining Minneapolis and Duluth in the North Conference will be the St. Paul-based Viejos Son Los Trapos FC. Hello, lovely people from the Twin Cities. We recently announced that we would be playing at the regional level in the APL (American Premier League), but today I would like to announce that the NPSL (National Premier Soccer League) has introduced new teams, including ours, to the North Conference of the Midwest [Region], giving us the opportunity to play at a national, semi-professional level, and maybe even to get to play in the US Open Cup. This is great news for our community, for Latino leagues and players, and for those who are passionate about this sport. City, Duluth and VSLT are the latest additions in a wave of NPSL expansion that kicked off in September, and has seen the league introduce Hartford City FC (Hartford, CT), Oxnard Guerreros FC (Oxnard, CA), TSF FC (Wayne, NJ), Inter Nashville FC (Nashville, TN), Milwaukee Torrent (Milwaukee, WI), Midland-Odessa FC (Midland, TX), Boca Raton Football Club (Boca Raton, FL), Tyler Football Club (Tyler, TX) and FC Arizona (Mesa, AZ). Joseph Walker and Andrew Lovgren contributed to this report.